1. Compare and contrast the Dominican Republic and Haiti to identify factors which have resulted in divergent health outcomes; 2. Use this understanding to develop a model of health determinants to apply to other developing countries. ...to your online course guide for research in divergent health outcomes in Hispaniola. Remember that both Erika Sevetson (Health Sciences Librarian) and Patricia Figueroa (Curator, Iberian and Latin American Collections) are available to help with your research. The best way to reach them is via email. 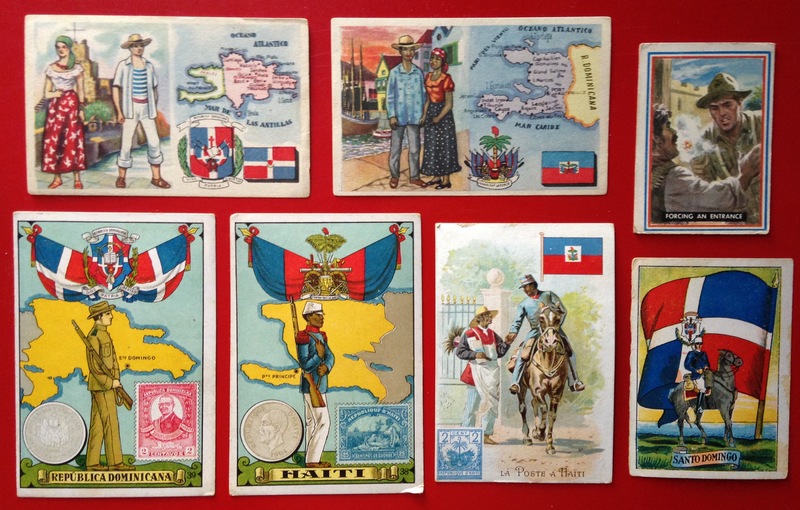 A collection of 18 European chromo advertising cards featuring Haiti and the Dominican Republic. Google Scholar provides a simple way to broadly search for scholarly literature. From one place, you can search across many disciplines and sources: articles, theses, books, abstracts and court opinions, from academic publishers, professional societies, online repositories, universities and other web sites. Google Scholar helps you find relevant work across the world of scholarly research. Google Scholar includes much of Brown's library materials as well. Look for the "FindIt@Brown" button. Haitian Studies research guide created by the Francophone Studies librarian.